The three most important types of insurance most people need to carry are home insurance, auto insurance and life insurance. These are proven to be vital parts of protecting your financial future in case of disaster, and can make sure you and your family members are taken care of when life throws you a curve ball. If you’re like most people, you’re probably wondering how you can get the best deal on rates for these various types of insurance. Most basically, insurance premiums rest on two factors: how much the insurance carrier would need to pay out in case of a claim, and the risk that you’ll end up filing a claim. You can’t lower the former without being underinsured. But you can show insurance providers that you’re a low-risk policyholder, which in turn can get you better rates. Home insurance rates are based on the risk of both the homeowner and the house itself. You can show yourself to be a low risk by maintaining strong personal finances and not filing small claims for negligible damage (you might save enough on your premiums that it’s worth absorbing the cost of a small drywall patch). As for the house itself, external improvements such as a new roof, security lighting or fences will make the biggest difference. 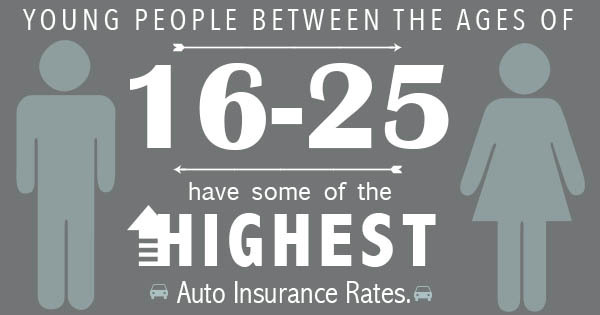 Up to a certain age, you can expect to pay high auto insurance rates no matter what: because young people get into more accidents, drivers between 16 and 25 also pay more for insurance. But as you establish a good driving record, you should see your rates fall. That’s true on the flipside too — each and every speeding ticket will send your rates higher. The other major thing to keep in mind is that gaps in insurance coverage make you seem risky to car insurance companies, so you should make sure you never let your insurance lapse, even for a brief time. Premiums are a little more complicated when it comes to life insurance because they’ll differ based on whether you have whole-life coverage or a term policy. But in general, the strongest move you can make is demonstrating your good health or improving it. This might include quitting smoking or losing weight. Life insurance carriers also take risky hobbies (like drag racing or skydiving) into account, but not all companies weight these factors as heavily. So if you suspect you’re being quoted at a high rate because of your lifestyle, you may want to check with another company to see if you can get a more competitive rate. Do you have any advice to share on lowering insurance premiums, or any questions to ask on how insurance rates are set? Call us today.